ViewSonic® Corp., a leading global provider of computing, consumer electronics and communications solutions, today announced the launch of its own PGD-150 Active Stereographic 3D shutter glasses. 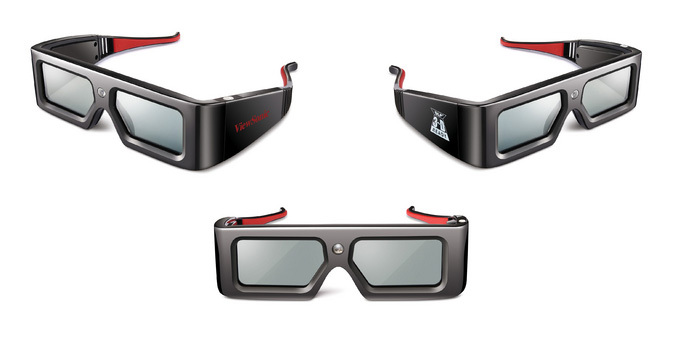 Designed to work in tandem with ViewSonic’s DLP® Link™ 120Hz / 3D Ready projectors , these unique glasses provide an immersive 3D experience ideal for use at home or in the classroom. For teachers looking to make the educational experience more engaging for their students, or home users hoping to bring cinema-quality 3D experiences into their media rooms, ViewSonic’s PGD-150 Active Stereographic shutter glasses offer a bold new approach. Boasting a 50ft effective use distance for maximum flexibility and active shutter glass design for a blur-free 3D experience, these glasses work perfectly in tandem with large scale presentations or solo media viewing. The PGD-150’s sharp 1000:1 contrast and TN Type LCD shutter ensures each vibrant 3D image is displayed with perfect clarity. Molded in durable plastic, the ViewSonic PGD-150 Active Stereographic 3D shutter glasses feature a ruggedized water- and dust-proof design and operate with long lasting lithium batteries for up to 70 hours of usage before replacement. ViewSonic’s PGD-150 Active Stereographic 3D shutter glasses are currently available for an ESP of $99.